Is the prevalence of ER-negative breast cancer in the US higher among Africa-born than US-born black women? Previous studies have reported that the prevalence of ER-negative tumors in breast cancer patients is much higher in black women than in white women in the US. Herein, we examine whether the proportion (prevalence) in Africa-born black breast cancer patients residing in the US is similar to those in US-born black patients. We obtained information on invasive female breast cancers diagnosed during 1996–2008 in 17 Surveillance Epidemiology and End Results cancer registries according to select place of birth: Western-Africa-born, Eastern-Africa-born, Jamaica-born, and US-born blacks and US-born whites. The majority of Western-Africa-born and Eastern-Africa-born blacks were from Nigeria (64 %) and Ethiopia (74 %), respectively. We examined group variations in ER status using Chi-squared tests and the prevalence of ER-negative tumors in Africa-born blacks compared to US-born blacks, expressed as prevalence ratio (PRR), using multivariable regression models. The prevalence of ER-negative tumors significantly varied from 22.0 % (n = 41/186) in Eastern-Africa-born to 32.9 % (n = 47/143) in Western-Africa-born blacks. After adjustment for differences in age at diagnosis and other covariates, compared to US-born blacks, the prevalence was similar in Western-Africa-born (PRR = 0.87; 95 % CI 0.70–1.08) and Jamaica-born blacks (PRR = 0.88; 95 % CI 0.74–1.03), but significantly lower in Eastern-Africa-born blacks (PRR = 0.58; 95 % CI 0.44–0.75). Notably, the ER-negative prevalence in Eastern-Africa-born black was comparable to the US-born whites with breast cancer. 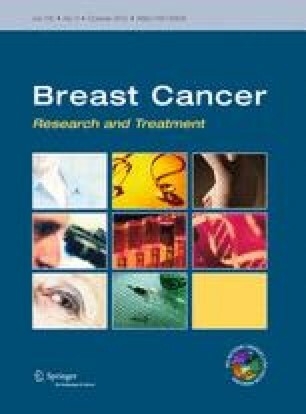 Our findings highlight the heterogeneity of breast cancer among black women in the US, which should be considered in future studies of hormone receptor status in these women. The online version of this article (doi: 10.1007/s10549-012-2214-2) contains supplementary material, which is available to authorized users. The research was supported by the Intramural Research Department of the American Cancer Society. We thank the Surveillance Epidemiology and End Result (SEER) program of the National Cancer Institute for making the incidence data available to the public. The authors of this manuscript have no conflicts of interest to declare.